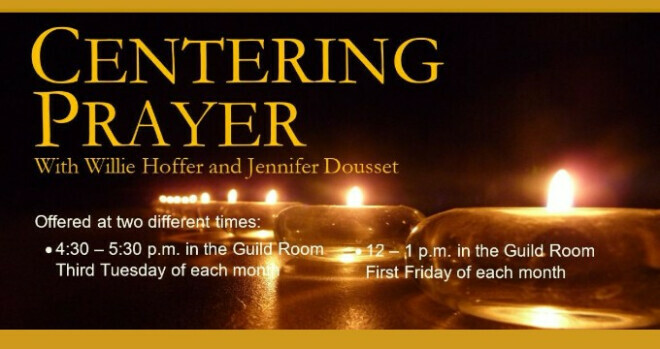 The Centering Prayer Group, led by Willie Hoffer and Jennifer Dousset, meets on the first Friday (12 - 1 pm) and third Tuesday of the month (4:30 - 5:30 pm). Come to either or both sessions! Centering Prayer is a meditation process in which we quiet our minds and open ourselves to our God. If you have any questions, please call Jennifer Dousset or Willie Hoffer, or call the office at 542-2167.